Finding winning roulette numbers is a passion of mine. There are many ways to find these numbers, depends on what you are prepared to do to find them. There are 4 main groups a number can go into, if you record 37 roulette results (spins) in a row. Group 1: 13 numbers (aprox) will not come out, every time. Group 2: 13 numbers (aprox) will come out, 1 time only. Group 3: 11 numbers will become Doubles, Trebles or more. In the next 37 spins you will get most, but not all of the 13 numbers that didn't come out in the first lot of 37 spins, coming out now. The numbers that still have not come out will go into the group of cold numbers and some will become very cold numbers. If you look at the image below you can see how many numbers came in all these different groups. 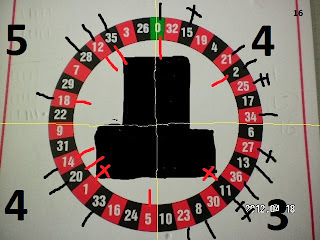 I have a ton of information from years of playing Roulette, I have put this into a Free Video Roulette Newsletter called how to find winning numbers. This way you get all my tips and golden tricks explained to you in small chunks, and you will watch me playing at a live casino. Just join the Roulette Video Newsletter below and start winning. We need to know what happens in every 37 spins, this is enough spins for every number to come out one time each, on a single zero table. I wrote a book on 7 topics that I went deep into, this gives you everything you need to know about each topic, plus there are a couple of different systems you can try that give better results. See what is in my 2018 Roulette Book. Topic 1: Martingale Betting System, With an Alternative system to Try, (less risk, more profit). Topic 2: The Best Time to Bet on Black Numbers. Topic 3: The Roulette ball and it’s Memory. 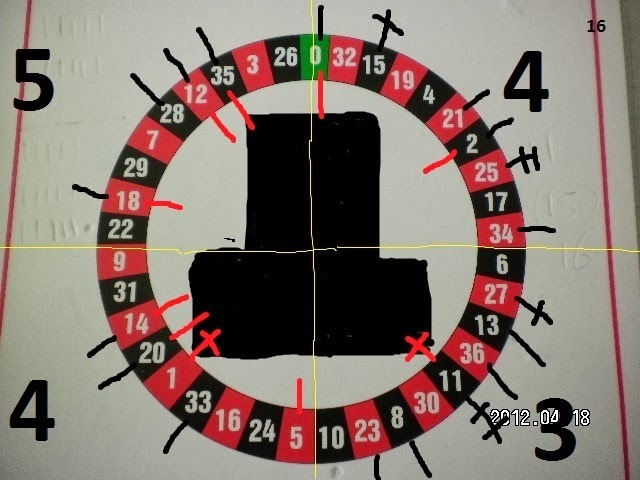 Topic 4: Real Roulette Results, marked around the wheel. Topic 5: The Biggest Problem facing people playing roulette, That They Must Fix? Topic 6: Roulette thinking? and how it effects you!. Topic 7: Long Runs of one Colors, (Odds, 1-18, etc..), with the very best way to bet when this event occurs. To join the Roulette Video Newsletter, full out the form below.